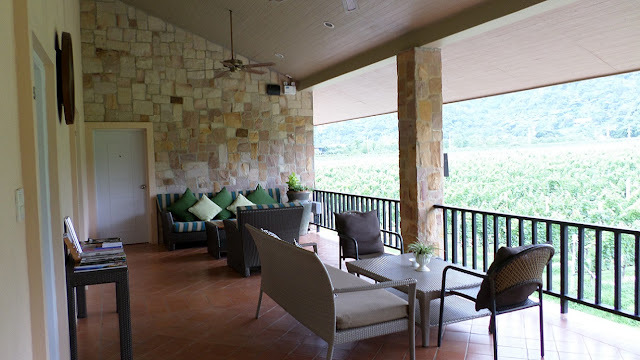 The is not Bordeaux in France or Margaret River in Australia but Thailand! 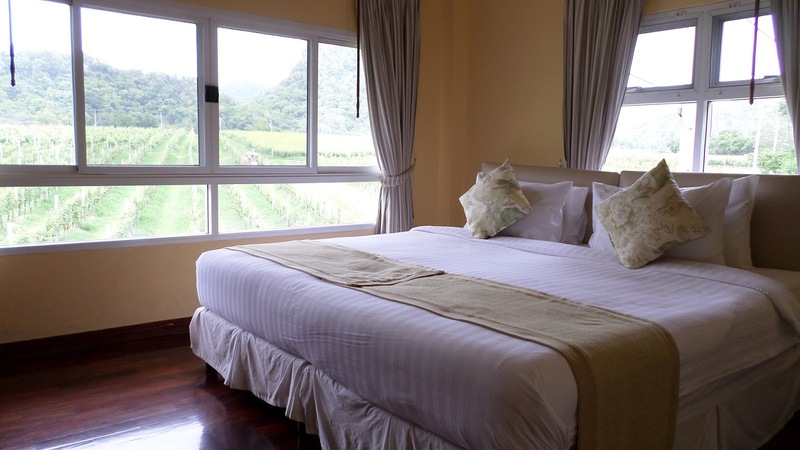 It was a pleasant surprise to know that a tropical country like Thailand has vineyards and a wine industry. 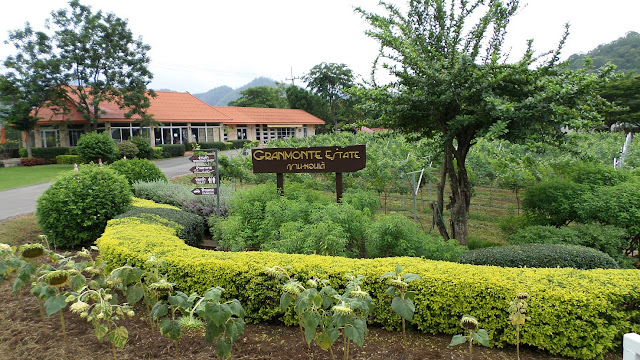 Wines produced from the country is known as New Latitude Wines for the reason that the grapes are grown in the tropics close to the equator. Granmonte Vineyard is located in Asoke Valley, Khao Yai in the north east of Thailand, close to the Khao Yai National Park and is about two hours away from Bangkok. 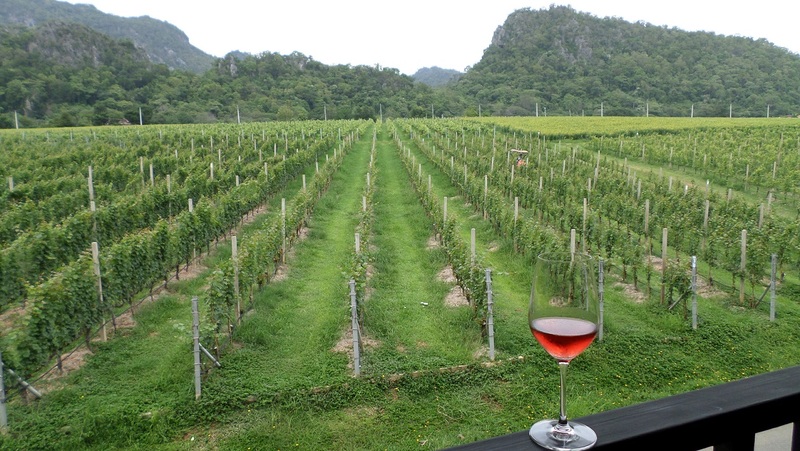 It was founded by Visooth Lothitnavy and his daughter, Nikki Lothitnavy is Thailand's first woman winemaker. 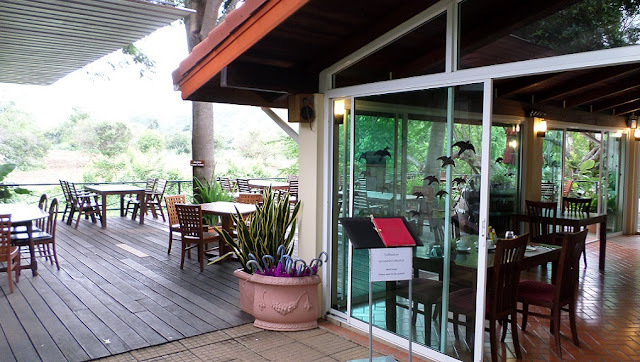 The estate also has a guesthouse, a restaurant, a souvenir shop and a cafe. This is a room with the vineyard view. It was lovely! Common area in the Guesthouse. VinCotto restaurant serving European and Thai's dishes. Wine tasting after the vineyard tour.